South Africa is endowed with adequate renewable energy resources which can make a substantial compliment to the country’s energy mix in order to address both the energy deficit and the heavy carbon footprint. South Africa is endowed with abundant renewable resources in the form of solar and wind energy. The Government’s White Paper on Renewable Energy Policy, released in 2003, supports the development of alternative energy systems with an ambitious target of generating 10,000 GWh green electricity by 2013. The introduction of Renewable Energy Feed-in-Tariff (REFIT) has generated good interest among Independent Power Producers (IPPs) to develop renewable energy projects in South Africa. South Africa’s has one of the highest wind potential in the region. The best wind resources are to be found mainly in the in the Western Cape and parts of the Northern Cape and the Eastern Cape. The wind power potential in South Africa is estimated at 80.54 TWh which can be realized with an installed capacity of about 30.6 GW. At present, there are two fully operational wind projects in the country – 3.2MW Klipheuwel Wind Energy Demonstration Facility (KWEDF) and 5.2MW Darling Wind Farm. 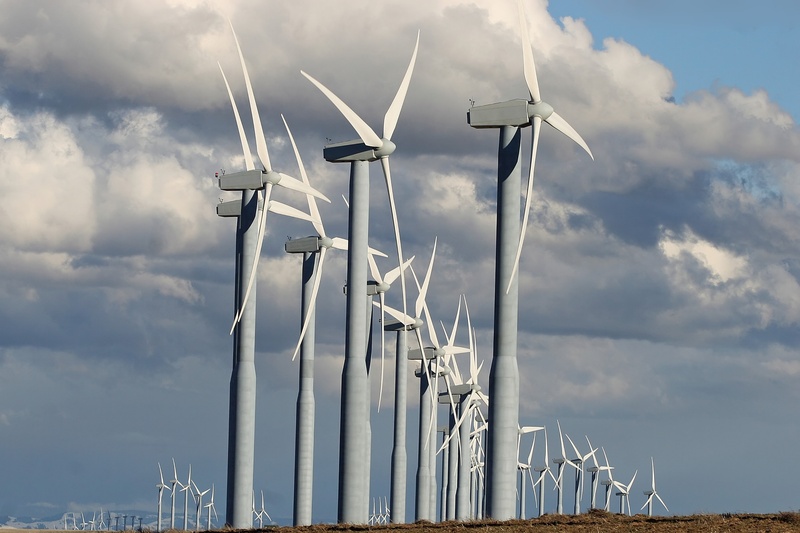 Darling Windfarm, in the Western Cape, generates 7 GWh of green energy every year. Being the first commercial wind farm in South Africa, Darling project reflects the collaborative efforts of international donors, government agencies and the private sector. A power purchase agreement was signed with the city of Cape Town to buy energy from the Darling Wind Farm. The city then sells the electricity through Green Energy Certificates to buyers prepared to pay a higher price for green energy. To serve the emerging South African wind market, Vestas established a permanent office in Johannesburg in mid-2009. The opening of the office coincided with the successful commissioning of South Africa’s newest wind turbine at Coega, a 1.8 MW Vestas turbine, in Port Elizabeth. The Coega project has been developed by the Belgian renewable energy firm Electrawinds. The Coega wind farm project will have 25 wind turbines, of 2.3MW each, to produce enough power for 100,000 homes. Wind power project awards make up 562.5 MW out of a total 1,043.9 MW of renewable energy capacity in the country. 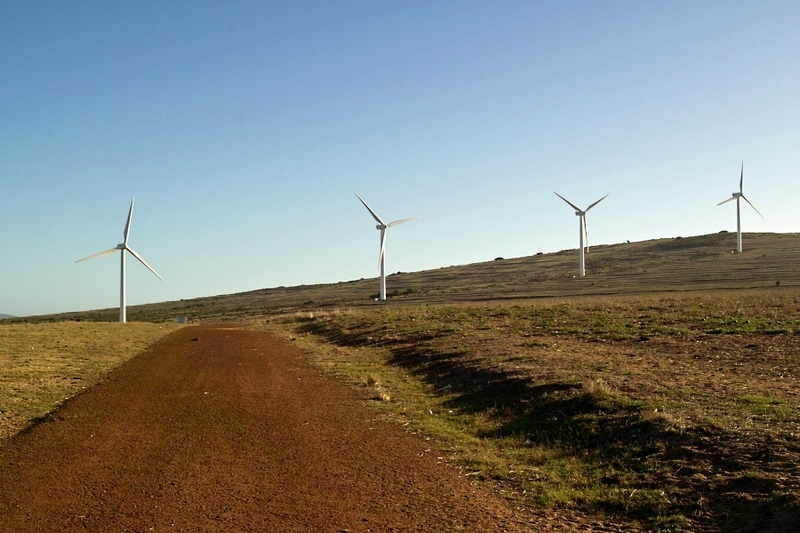 South Africa plans to build more than 3.5GW of new renewables by 2016 from its Renewable Energy IPP bidding rounds to help reduce the country’s reliance on coal power. In March 2012, South Africa’s Dept. of Energy selected Denmark’s Vestas and India’s Suzlon to play a big part in helping South Africa realize its renewable energy, as well as broader social, economic and environmental goals.